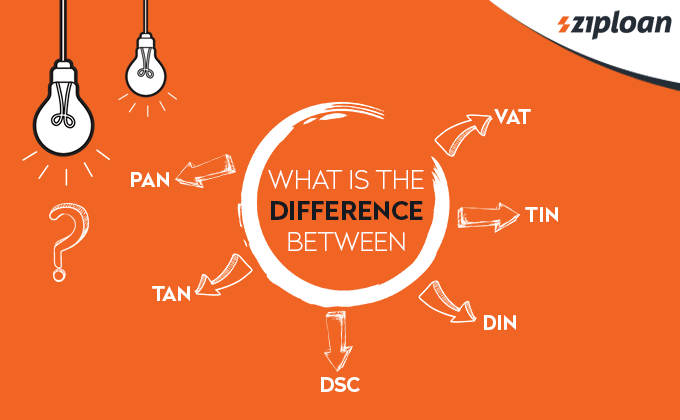 What Is The Difference Between PAN, VAT, TIN, TAN, DSC, & DIN? PAN, VAT, TIN, TAN, DSC, and DIN – all these three letters usually sound similar to the business entrepreneurs. It is important for a businessman to know the basic difference between these 6 terms. In this blog, we shall discuss the difference between these 6 terms – PAN, VAT, TIN, TAN, DSC, and DIN. PAN is a 10-digit number (alphanumeric). The PAN number is issued to each taxpayer, be it an Individual, Business, Trust, HUFs, or Foreign citizen. A PAN number is issued by the IT Department (Income Tax Department). PAN is deemed to be an important identity proof and is mandatory for the citizens of the country while starting an LLP or One Person Company. 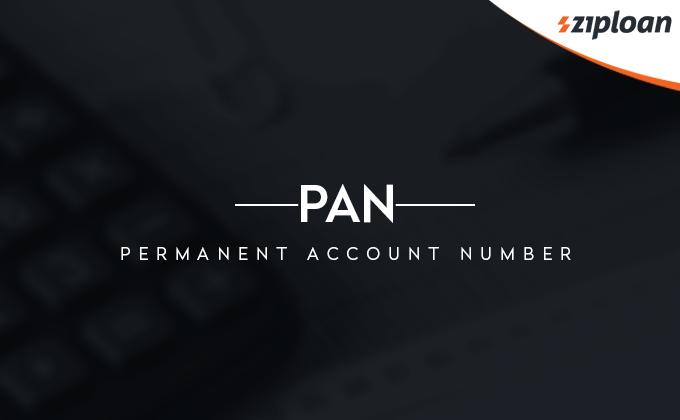 A PAN number is issued mainly to keep a track of the financial transactions of the individual that may carry taxable component. PAN, these days, is required for almost all the transactions, such as obtaining a business loan, purchasing a property, or submitting/ withdrawing/ sending high-value cash deposits. If you have a PAN and some wrong information is entered in it, the read how to correct wrong PAN information online. Also Read: How Can You Apply For TIN Number? TIN means Tax Identification Number. It is also known as VAT – Value Added Tax. TIN is a unique number which is allotted by the state government – Commercial Tax Department. It is an 11-digit number which is compulsory to mention on all the VAT related transactions. TIN is used to identify the sales done between two states or more and dealers who are registered under VAT. It is obligatory for every business selling goods and services, such as shopkeepers, manufacturers, dealers, e-commerce selling goods, etc. to obtain VAT registration or TIN number. Also Read: Why Trademark Registration Is Important For Your Business? TAN means tax deduction & collection account number. TAN is a ten-digit long alphanumeric number allotted to individuals who are supposed to deduct tax at source (or TDS). A TAN registration or TAN number is imperative for businesses to deduct tax at source. It is required to be quoted in the TCS return or TDS. If you require TAN but have not applied for it, it can attract a penalty. Also, if you have obtained TAN, the TDS returns must be filed quarterly by the businessman. Also Read: Do We Still Require Service Tax Registration Number After GST Implementation? 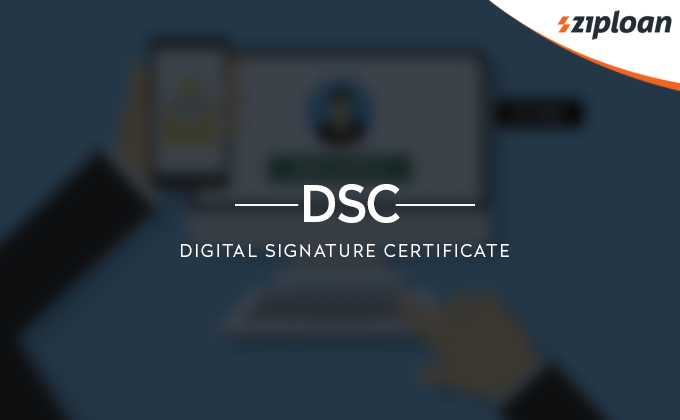 DSC stands for Digital Signature Certificate. It is a type of electronic authorization and is used as an identity proof while online filings and transactions. DSCs are mostly used by the Income Tax Department, Directorate General of Foreign Trade, MCA (ROC), e-Tenders, and EPF (Employee Provident Fund) in India. The Digital Signature Certificates are classified into three classes – Class 1, Class 2, and Class 3. Class 2 DSC is most popular and is used while registering companies and e-filing income tax returns. Class 3 DSC is required for e-tenders. Also Read: What Is The Difference Between Excise Duty & Sales Tax? DIN stands for the Director Identification Number. This number is issued to the existing Director or Future Directors of the company. The DIN is required while company registration. The Director Number and Designated Partner Identification Number (DPIN) can be used equivalently. DIN is required while LLP registration – Limited Liability Partnership. A DIN contains the information related to the person who is becoming a Director and so, it can only be obtained by persons, both Indians and Foreign Citizens. Identity and address proofs are required while obtaining DIN. And while obtaining DIN, DSC is mandatory and therefore, it must be obtained beforehand. Also Read: GST Return: How To File GST Return Online? GST in India was introduces on July 1, 2017, and it has replaced TIN and VAT. All the business entities registered under TIN or VAT have to mandatorily obtain GST registration. In addition, any business entity involving in the supply of goods and services of INR 20 lakhs (or 10 lakhs in special category states) or more are required to have GST registration. The business entities registered under GST are provided with GST identification Number or GSTIN. Next article When To Apply For A Loan For Business? How Can Small Business Owners Become Amazon Seller? Which Are The Best Business Loans For SMEs? What Are The Mistakes That Most Growing SMEs Make?